As a local pool service and repair company we offer pool service to a large area of San Diego County. Providing pool service and cleaning to Clairemont is just one of the many areas. One reason we provide pool maintenance to The Clairemont area is that we are located just a few miles away. Another reason is that one of our pool supply houses is located in the Clairemont neighborhood. Because of this, it makes sense to offer our professional pool services to the area. Ever sense the owners of ProTouch Pool Services have been in the industry, we have cleaned pools in Clairemont. ProTouch is also much more than just a pool service company. We also perform all pool equipment repairs and new pool equipment installation. Because of this, we are able to help our customers solve all of their pool problems. 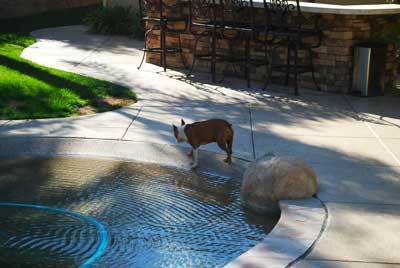 We are a one stop company to ensure that your pool is always clean and safe for your friends and family. Our pool cleaning technicians are also making sure that your large financial investment is being protected. To do these things, pool service companies need to have a strong understanding of pool water chemistry. Anybody can clean the debris from the swimming pool but it takes knowledge to maintain proper water chemistry. That is why we have you covered. A licensed, professional pool cleaning company that you can trust. With all new Clairemont pool service customers, we perform a complete chemical analysis. We will also check the surroundings of the swimming pool and inspect all of the pool equipment. By doing this, it allows us to have a complete understanding of the swimming pools needs. When starting the pool service our pool cleaning technicians now what it will take to keep the pool pristine. Another added step with for our technicians is to track and record your water chemistry readings every pool service visit. Doing this allows us to have a consistently balanced, safe swimming pool environment for your family and friends. These efforts takes the inconsistency out of performing your weekly pool service and cleaning. Below we will explain some of the steps we take each when when performing our maintenance routine. When checking for a chlorine level during each Clairemont pool service visit, there needs to be a residual. By having a chlorine reading, it tells us that we are not dealing with negative numbers. When chlorine goes to zero, it may not just be a zero.You may have a reading that is a negative number that requires more chlorine to resolve. Low chlorine levels can also create bacteria issues that should always be prevented. Every time we are out to clean the pool and balance water we always check the pH. The pH is how acidic or alkaline the water is. You do want want the water to alkaline or to acidic. When needed, we will add the necessary amount of acid to lower the pH levels. By keeping it in proper ranges you will prevent scaling on the pool tile. It will also protect from eating up your pool equipment prematurely. Your alkalinity is used to buffer your pH from fluctuating randomly. Keeping the alkalinity balanced allows you to have more consistent pH readings. To lower alkalinity you would add acid ands to raise it you would add sodium bicarbonate. We test alkalinity every pool service visit. When you have phosphates in your pool water and you have algae, it will reproduce quickly. That is because phosphates are a food source for the pool algae growing. By keeping the phosphates below 120 parts per billion, you will prevent that from happening. Also when a pool has a pool algae problem, there is something wrong. It will be a dirty pool filter slowing the waters flow. It may also be bad water chemistry and having no chlorine in the water. And worst case is that your conditioner levels are way to high. This is the chemicals that stabilizes your chlorine levels. When this certain chemical range is to high, it will prevent your chlorine from being effective. Another bad thing if this level is high is that it can have an affect on your pool equipment and pool surfaces. It is never a good idea to have your conditioner levels above 50 parts per million. Knowing and performing all of these tasks is what sets us apart. We know we have the knowledge and professionalism to help you. Pool service Clairemont or any other area of San Diego should always be done correctly. Unfortunately, that is not always the case for many pool service companies out there. So when you are looking for a weekly Clairemont pool service company, we are here to help. We can also help you with your pool algae problems, pool filter cleans, pool drain and restarts and hot tub service. We also perform all types of pool equipment repair and new pool equipment installation. Please feel free to call us or to fill out our contact form and we will get in touch with you. Even if you just have a few questions or concerns about your Clairemont pool services.